Xiaomi introduced the smartphone of its new Poco sub-brand Pocophone F1 at an event in India. The device is aimed primarily at advanced users who need the maximum performance of the top-of-the-chip Qualcomm Snapdragon 845, high-quality camera and flexible settings at a record low for a smartphone with such an "iron" price. While only the price of Pocophone F1 for India, which in terms of $ 300 or slightly more than Rs.21,000 is announced, is the cheapest Android smartphone with Snapdragon 845 on the world market, about three times cheaper than the similar Samsung Galaxy S9 plus. Display: The display itself received a conventional LCD IPS-matrix with a resolution of FullHD + (2248 x 1080 pixels) and a diagonal of 6.18 inches. Memory: The device in the basic configuration is completed with 6 GB of operative and 64 GB of internal memory, also more expensive versions with 6/128 and 8/256 GB are available. Micro SD Card: There is support for microSD cards up to 256 GB. Dimensions of the device: 155.5 x 75.3 x 8.8 mm and weight 180 grams. Battery: The battery on the phone is quite capacious - 4000 mAh, which is more than Samsung Galaxy S9 or OnePlus 6. I/O Interface: 1 x Nano SIM Card Slot, 1 x Nano SIM, TF Card Slot, Type-C USB Port, Type-C USB Headphone Jack, Power Button, Volume Button, Microphone, Speaker . The novelty of Xiaomi, unlike most modern flagship smartphones, has avoided the fragile glass on the rear panel - the frame is made of aluminum, and the rear panel is made of polycarbonate plastic black, blue or red. In a special "armored" top version, the backdrop is made of Kevla. Another fashion trend - cut-out "bangs" at the top of the screen - could not be avoided. "Hooked" super-cheap flagship Xiaomi and another ambiguous trend: the device does not have an analog audio jack. By the way, it was the last flagship when OnePlus became the main target of Xiaomi marketers during the presentation and the camera is supposedly not so good, and it runs slower and costs 200 dollars more. Xiaomi Pocophone F1 is equipped with a dual rear camera. The main lens with aperture f / 1.9 is combined with a 12 megapixel Sony IMX 363 size 1 / 2.55 "(as in the flagship Xiaomi Mi8), an auxiliary 5-megapixel camera providing background blur effects, uses a Samsung sensor. The matrix has large 1.4-nm pixels, which, in addition to high sensitivity in low light, provide fast autofocus with dual-pixel technology. The front camera is 20-megapixel (same as in Mi8) with support for the technology of combining pixels, which allows you to get better pictures in the shadows. The camera software uses machine learning algorithms, recognizing different scenes to adjust shooting and processing parameters. An Infrared camera, like Xiaomi Mi8, provides unlocking smartphone on the face in the dark. 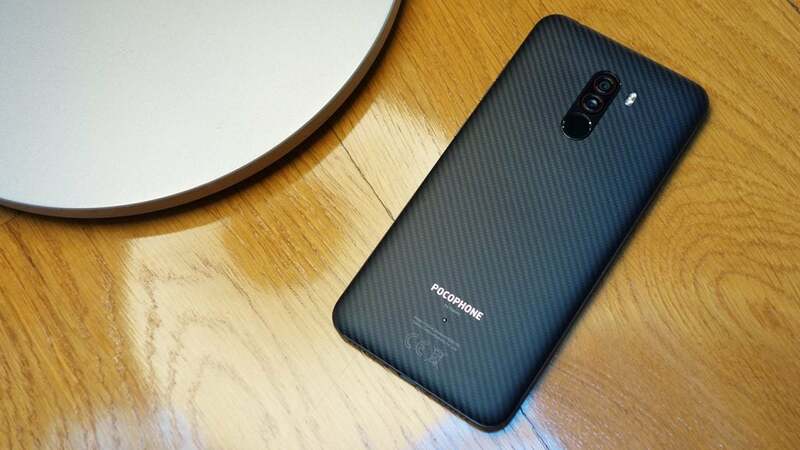 Pocophone F1 uses Android 8.1 and a special MIUI for POCO interface with an emphasis on performance and fast updates, which is much more similar to the stock interface of Google's mobile operating system than to the usual MIUI, which in many ways tries to simulate iOS. But the functionality of the launcher is expanded - for example, icons in the application menu are sorted by functionality and even by color, and installation of alternative icon sets is also supported. A week later Poco Launcher will be available for download on Google Play and installed on some other smartphones.